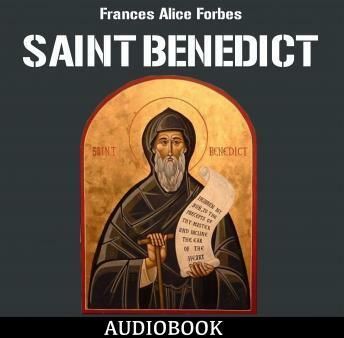 Saint Benedict, by Frances Alice Forbes, weaves skillfully the story of the life of this great saint. One of the most well-known and beloved male saints today, St. Benedict is widely studied, and rightfully revered for his austerity and holiness. This title begins with the state of the times into which St. Benedict was born, then leads through his early years, his leaving to go out into the world, life as a monk, leading as abbot, founding of monasteries, the Rule of St. Benedict, the saint's visions and ability to read the hearts of men, his close relationship with his twin sister Scholastica, the death of the saint, and the spread of the Benedictine order throughout the world. A perfect audiobook to learn more about the great "Founder of Western Monasticism".